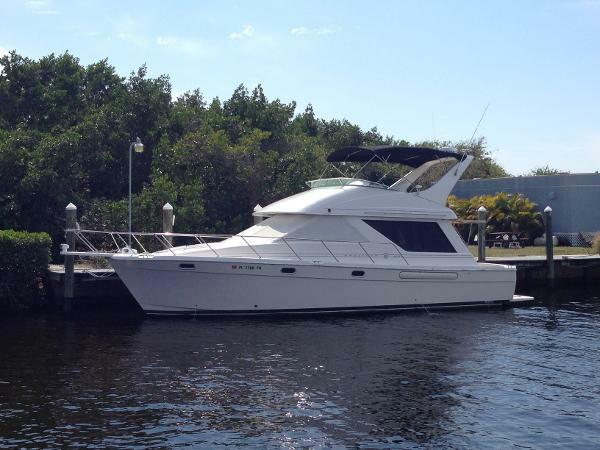 2002 Bayliner 3988 Command Bridge Motoryacht This impeccably maintained 3988 Bayliner Command bridge with it's dual helm stations offers maximum comfort and versatility for your year round cruising enjoyment. Enjoy the best of both worlds, the adventures of cruising with the comforts of home. 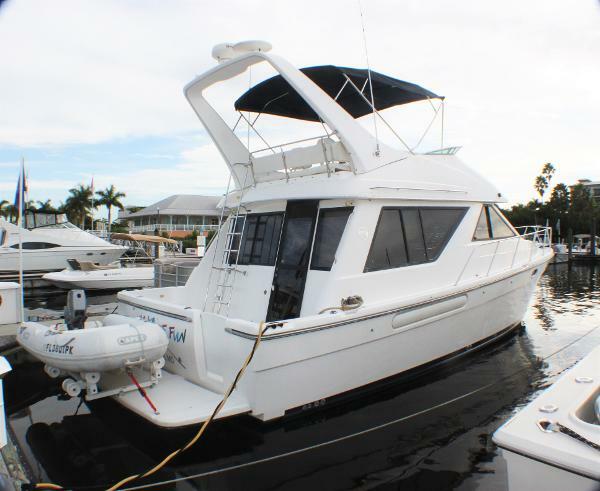 This very popular model features two staterooms and two heads with vacuflush toilets, the master head actually has a bath tub shower combo, a spacious salon and galley up with separate dinette, air conditioning, heat, generator, bimini top and dinghy with custom brackets. 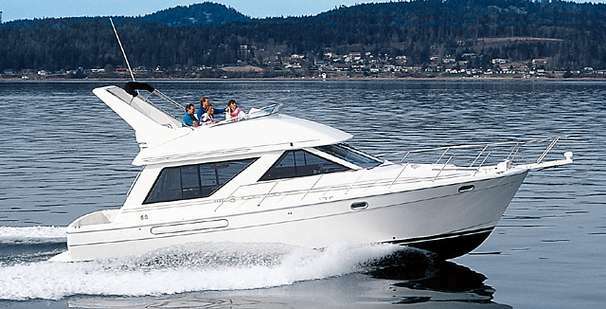 The large foredeck, sport cockpit and spacious flybridge are convenient for sunning, fishing, water sports and dockside socializing. Annual service just completed and new epoxy coated fuel tanks installed in 2012 and new batteries. She is turn key and ready for her new owner. 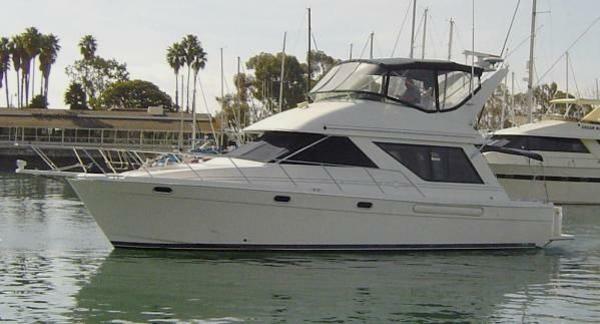 This boat is a superior value and available for easy viewing. 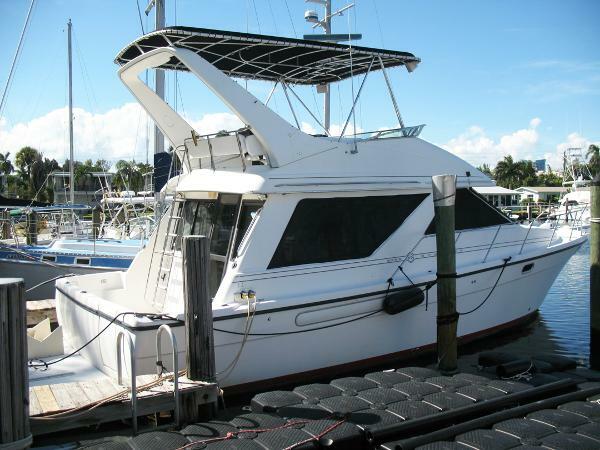 1998 Bayliner 3988 Command Bridge Motoryacht This 3988 has had good care and shows well. She has had an updated interior and is powered with Cummins Diesels. She is seriously for sale. 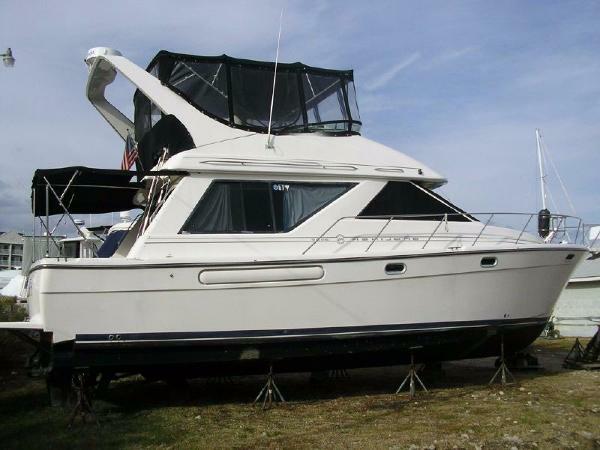 1995 Bayliner 3988 Command Bridge Motoryacht PRICE JUST REDUCED - LOWEST ON THE MARKET One of Bayliner's most popular long distance cruiser and live-aboard. Powered by twin 250hp low houred Hino Turbo diesels, she is extremely economical, but offers a good turn of speed when needed. Great layout with two staterooms, two heads, bath tub, full equipped U-shaped galley and a large comfortable main salon. The command bridge is huge and there is a fabric hardtop for protection from sun and weather. Fully air conditioned for total comfort, with privacy screens on all the main cabin windows. She is nicely equipped. With some updating of cosmetics and electronics, she will be ready for any yacht club. Engines and running gear have received constant maintenance. The generator is ready for a replacement. The asking price well reflects the little work required to make this a stunning example of a great coastal and inter-island cruiser. You owe yourself a look at this vessel. Lowest priced on the market! Small boat trades possible. She will sell fast at this price! 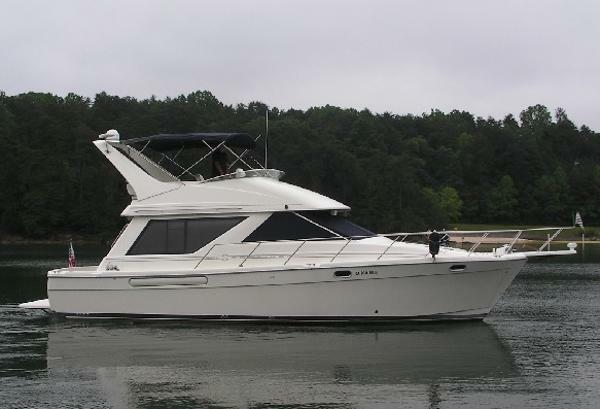 1998 Bayliner 3988 Command Bridge Motoryacht Boat delivered new to our fresh water lake, northeast of Atlanta! !Original owner and has never left the lake!! The 3988 Command Bridge Motoryacht is designed for maximum comfort for extended cruising year round. The boat features seating for a crowd on its huge bridge and an equally spacious cockpit on the aft deck at water level. The saloon features an upper and lower seating and dining area. The lower helm makes the skipper part of the adventure when piloting the boat from the lower helm. Full galley makes entertaining more of the adventure. Two private state rooms each with its own head and the master head has a separate shower and tub. Powered with twin 270 hp Cummins diesel with 361 hours of fresh water use. Gen set is a westerbeke with 439 hours. Flat screen tvs, great stereo, nice electronics. Current owner is the original owner and has had the boat at our fresh water lake berthed under cover since delivery. 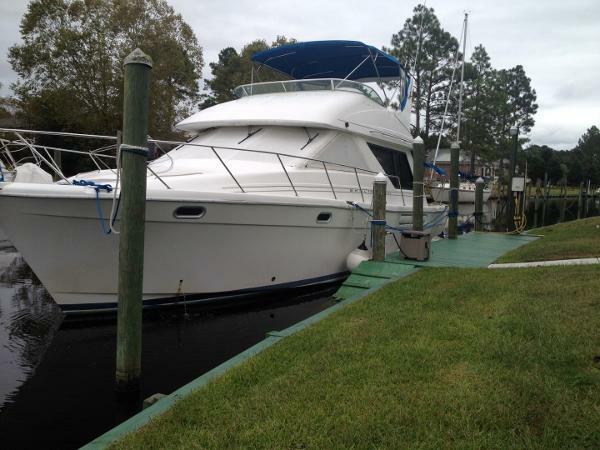 1995 Bayliner 3988 Command Bridge Motoryacht This 3988 Command Bridge has been professionally maintained and is in the water ready to go. Sitting on the Hudson River, she has been in fresh water for the past 15 years. Westerbeke Generator runs great! Main engines (Hino's) start right up with very little smoke.